HomeElectric vehiclesEnvironmentHuman PoweredSolar PoweredtransportationFuturistic Intelligent Electric Vehicle (iEV X) Changes Its Size Based on Your Needs! Futuristic Intelligent Electric Vehicle (iEV X) Changes Its Size Based on Your Needs! With increasing innovation and environmental awareness, the electric vehicles (EVs) have never been safer, sleeker, or more exciting to drive. The demand for these eco-friendly vehicles keeps on rising in the urban areas along with new style and features that attract users. EVs also have lower fuel and maintenance costs. And consumers ultimately garner social pride and responsibility from creating a better, healthier planet. For all of these reasons and more, EVs have caught the attention of car-lovers and commuters alike. The electric car revolution is racing ahead, with some of the world’s biggest manufacturers along with some incredible start-ups set to enter the EV market with exciting new vehicles. 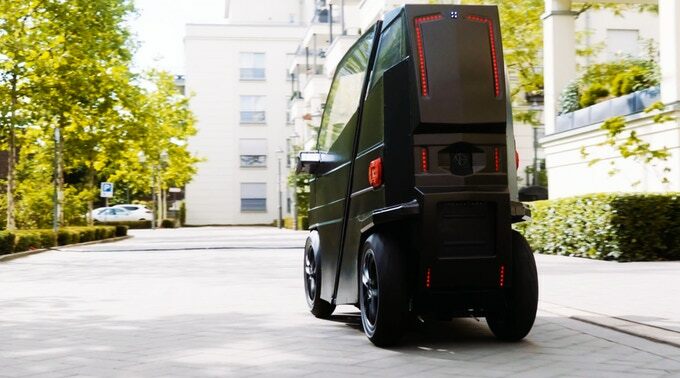 A German start-up Intelligent Electric Vehicle (iEV) GmbH now brings a new electric car ‘iEV X’ that has an innovative concept of size transformation as per your needs. An ultra-compact 4-wheel iEV X series consists of two models: iEV X and iEV X+. It has developed based on the theme of compactness and enjoyable mobility. The new concept of personal mobility, which has increased flexibility, allowing new levels of fun and freedom of travel, while also being 100% environmentally friendly. The iEV aims for creating the sustainable Earth with great ideas, innovation, and technology through their products to achieve a clean sustainable energy and transportation system. After nearly 18 years of research and research and development in Iran, Malaysia, United States, Australia, Belgium, Germany and The Netherlands with more than 16 successful prototypes and projects, the iEV concluded that the electric vehicles future design should focus on small compact sizes. The spark of the idea for sustainable energy and transportation systems came to inventor in 1999, the vision of the intelligent commuter system consisted of the Intelligent Electric Vehicle (iEV) and the Intelligent Charge station (ICS). The journey started from 2011 in Brussels, Belgium on the idea of future mobility to 2013 in Alsdorf, Germany on the design and development of the iEV X series electric vehicles. The creator has no competitors as their invention is completely new not being a car, nor a bike or a scooter! There is different size and capacity for various types of EV vehicles, NEW, Quad, Scooter and Bicycle are available in the market, which are physically fixed while individual requirements change in different conditions and environments. 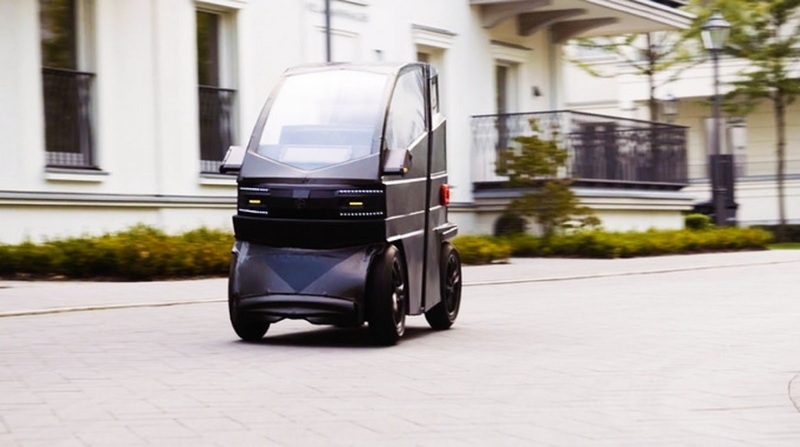 To achieve the flexibility in the personal mobility, the iEV X has designed an electric vehicle with a Flexible Robotic Platform where the size and capacity of the vehicle increases or decreases in a few seconds while being fully robotic. The flexible size for 1 passenger - Length: 160 cm, Width: 78 cm and Height: 135 cm and to transform it for 2 passengers, just go for robotic mode which extends the length to 190 cm. For further elongate the electric vehicle for more passengers/cargo, the length increases to 190-220 with robotic. In drive mode you are able to open the roof together with the door to a limited amount of 20 cm max for some fresh air. It runs on three energy sources: battery, solar and human energies which make it even more environmental appealing. The electric vehicle is powered with 100% lithium-ion batteries. The roof of iEV X is covered with 40W flexible solar panel to charge the lithium battery pack. The Lithium battery pack with Battery management system (BMS) to store energy for the iEV X power train or iEV X+ includes the share and transfer of energy with other iEV X or buildings. It has a provision for human pedal energy (optional) with 35W power for exercising and charging the lithium battery pack during your work out. According to the creator, the iEV X Series Cost is lower than any other electric cars and fossil fueled cars. When the internal efficiency numbers of Tesla Model S 75D: 33 is 20,5 kWh/100 km and for Hyundai IONIQ is 15,4 kWh/100 km, the iEV X is only 2 kWh/100 km in the case where the iEV X doesn’t use solar and pedal energy. Different technologies are featured throughout different iEV vehicles including: Charge while in Motion innovation Technology, Intelligent and Robotic Charge Station, and many more. Strong carbon steel chassis & aluminum body panel protecting the passenger within the vehicle. Its standard seat is protected by chassis and anyone can drive iEV X safely, comfortably while saving the environment, space, and change the future of mobility. iEV X is equipped with rear camera 170 deg wide-angle perspective to eliminate blind angle working with the 7 inch touch screen monitor. You can convert your smartphone as a key for EV using their iEV app.